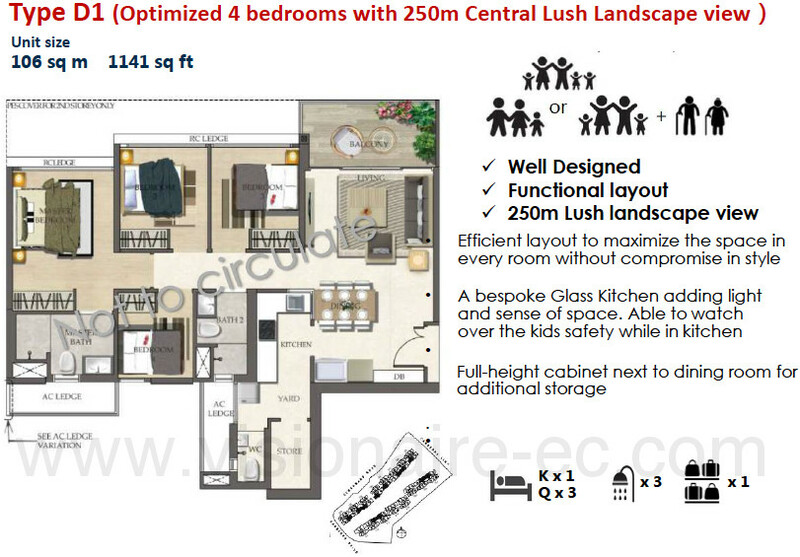 The Visionaire EC will have a range of unit types, from 2 to 4 bedroom units. 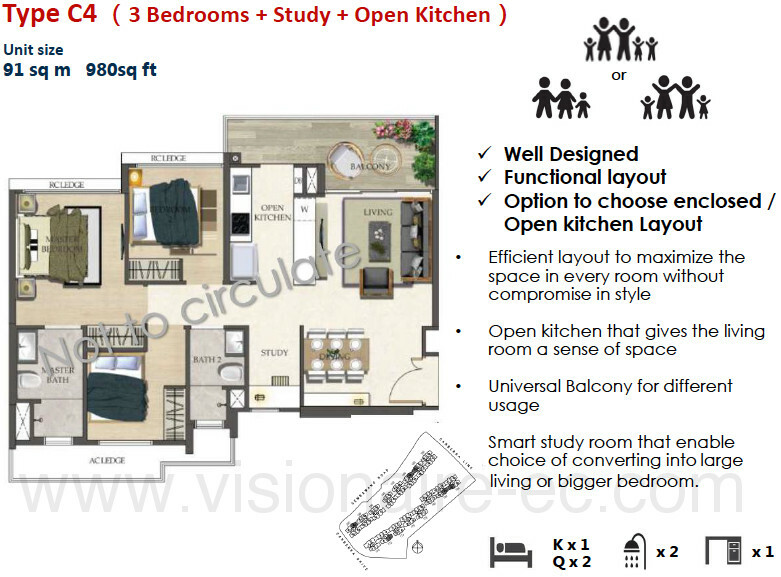 The full set of Visionaire floor plans is now available. See below for examples. The Visionaire EC has a simple site layout – 2 rows of blocks of units stretched out across the whole 252m width of the site, with pools and gardens and facilities in between them. The communal facilities are also stretched out across the site, so half the units get pretty nice pool and landscaping views. Whereas the north-facing side of the northern row of blocks overlook the greenery of the former Admiralty House grounds across the road, that is being preserved as a sports and recreation centre. The Visionaire EC site plan layout will include lifestyle facilities with 2 Clubhouses, Private Dining Room, a Dance Studio, a Music Room, Library, Karaoke Room, Free Sports Activities and Dance Classes, and many others. 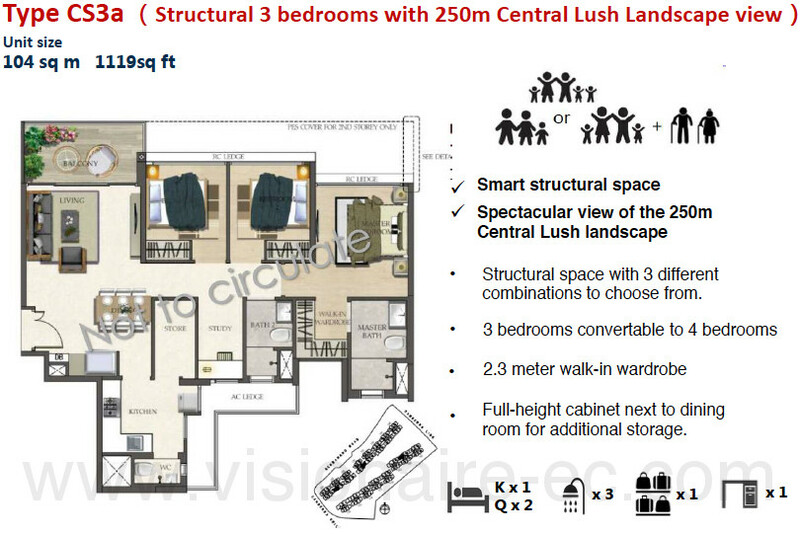 Shown here are some of the preliminary Visionaire floor plan layouts. Please contact us below if you would like the full set to be emailed to you. 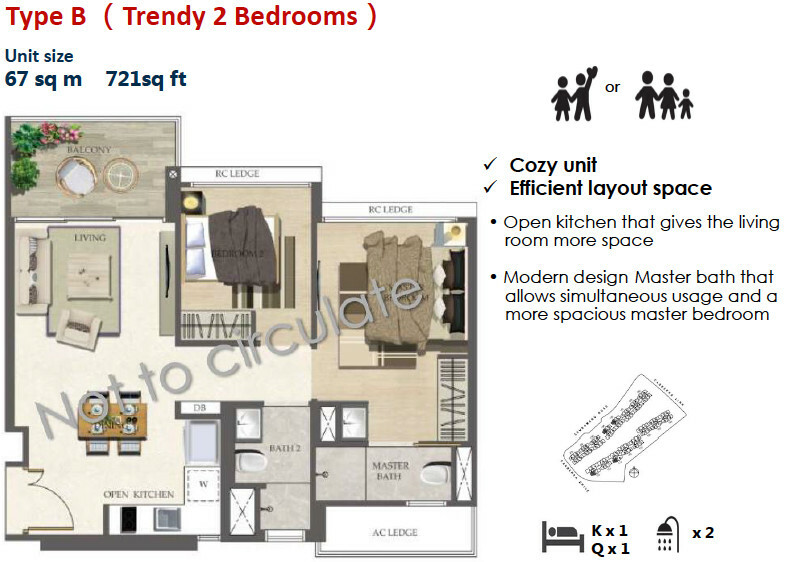 The Visionaire EC is being developed by Qingjian Realty Pte Ltd, one of the most experienced EC developers, with several executive condominiums in its portfolio. Other ECs it has developed include: The RiverParc Residence EC (in Punggol), The Waterbay EC (completed in Punggol), The Ecopolitan EC (in Punggol), The Bellewoods EC (in Woodlands), and The Bellewaters EC (in Sengkang). For more information on Qingjian, click here (opens in new window). 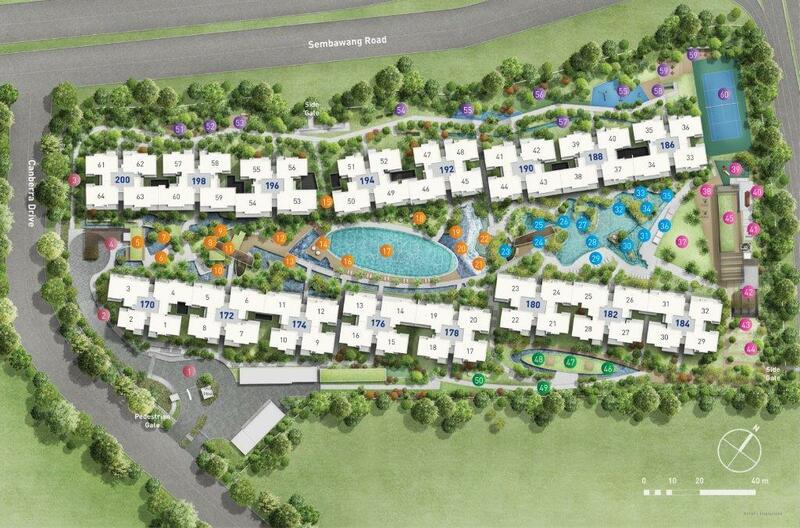 Please register here to receive the full set of Visionaire floor plans & site plan.